At least one person died in a blast at a thermal power plant in the central Russian city of Penza, the Emergencies Ministry says. The powerful explosion caused metal structures to collapse over a 600-sq-meter area. 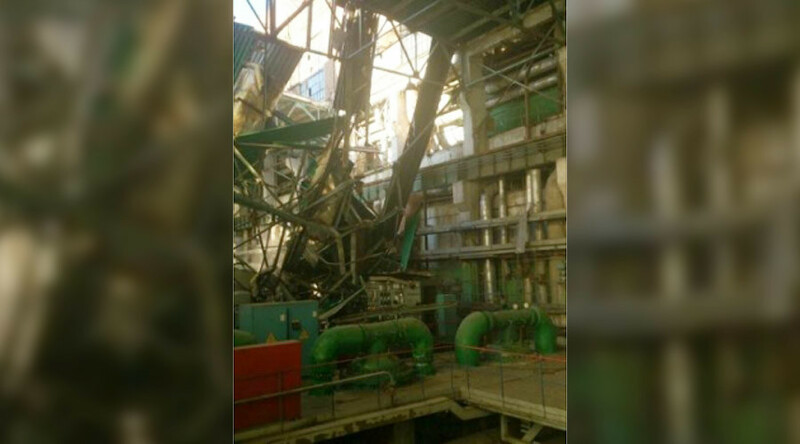 According to preliminary reports, a pressurized steam tank exploded at the power plant, TASS reported, citing a source at the Emergencies Ministry of the Penza region. A criminal case has been launched following the death of one of the workers, Interfax reported. The building of the TPP-1 power plant has been partially destroyed, and some 600 square meters of its roof are said to have collapsed, according to RIA Novosti, citing a source at emergencies services. Several rescue units have arrived at the site to remove debris and look for possible victims. Heating will be limited in 86 houses in the area following the incident, TASS reported, citing an emergency services official in Penza. Hot water supplies will also be cut to nearly 70 high-rise apartment buildings, as well as to two schools and four kindergartens, he said. Repair teams are now working on switching the affected buildings in the area to a different heating provider, the official said, explaining that it might take up to six hours. According to another official cited by TASS, up to 300 houses had been cut off from heating facilities. Previously, officials claimed the explosion at the thermal power plant did not affect the heating supply in the city, where the temperature at the moment is about -20C (-4F).